Join us at 10am on Wednesday, January 23rd for an in-depth interview with the pianist Beth Levin. The focus of the interview will be Ms. Levin's upcoming performance at the Bruno Walter Auditorium, where she will be playing works by Handel, Wang Jie, Drozdoff, and Beethoven. 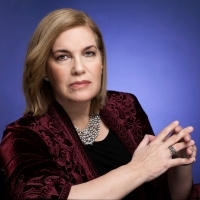 Since her age twelve debut with the Philadelphia Orchestra, Beth Levin has been celebrated as a bold interpreter of challenging works, from the Romantic canon to leading modernist composers like David Del Tredici and Andrew Rudin, both of whom have written works for her. The New York Times praised her "fire and originality," while The New Yorker called her playing "revelatory." Levin was taught and guided by legendary pianists Marian Filar, Rudolf Serkin, Leonard Shure, Dorothy Taubman, and Paul Badura-Skoda, who praised Levin as "a pianist of rare qualities and the highest professional caliber." Said Tiara Ataii in Music and Vision of her PERSONAE recording, "Levin's performance is near perfection, maintaining intensity in each note and crystalline tone in every register."